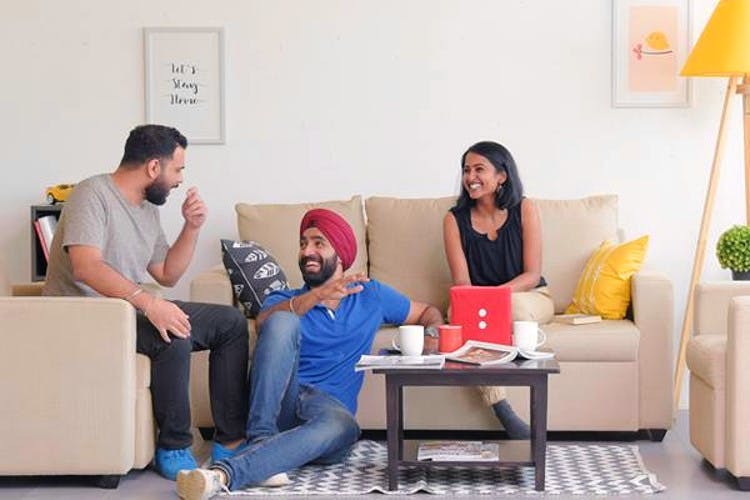 Furlenco – Bangalore-based furniture and home appliances rental startup has launched in Hyderabad. Why buy when you can rent, we say! Looking for perfect seating for your reading nook or in search of a cosy bed for your temporary digs ( young, working professionals we are looking at you)? Then Furlenco is your hero. Popular for its budget-friendly rental services that offer furniture ranging from beds and wardrobes to refrigerators and TVs, now setting up a home in Hyderabad could be a cakewalk if you have just moved into the city. We personally love their combos where you can rent a single bed and a study table at INR 1,399 per month, making it perfect for bachelors and individuals who have just moved into the city. The rental prices begin at INR 599 per month. Right from bedroom furniture to the living room’s, there’s plenty of choices for you. But we’re looking at The Lounger – a cushy recliner for unwinding after a long day of work. Priced at INR 999 per month, we think this is the first one we’re adding to our cart. Just moved to Hyderabad and want to grab minimalistic furniture for your room? Then you must hit up Furlenco!